Jack Grealish is vital for Aston Villa, QPR are going backwards again under Steve McClaren and a tale of two managers in League Two. If you weren't already aware of the importance of Jack Grealish to Aston Villa, then you probably are after what has happened in the last week. It has been an eventful time for the midfielder to say the least, and there is no doubt his influence since returning from injury has triggered Aston Villa's charge back towards the play-offs, with three straight wins. So far this season Villa have won 11 from 24 games in which Grealish has appeared, averaging two goals a game in the process, while they have mustered just two victories from 13 without him, averaging just 1.2 goals per game in that time. Then there is the foul count, which shows just how much Grealish is targeted by the opposition. Even though he has missed more than a third of the season so far he has still won 26 more fouls than any other player in the Championship. The closest to his 115 fouls won so far is his team-mate John McGinn with 89, while the nearest for a player from any other side is Eberechi Eze of QPR - who has won 79 fouls this season. Aston Villa face play-off rivals Middlesbrough at Villa Park on Saturday, knowing a win could potentially take them into the top six. If they are to maintain this current momentum then Grealish must stay fit. It has been a season of three parts for Steve McClaren and QPR. First, there was the nightmare start that saw them lose four games in a row, shipping 13 goals in the process. Then there was the better middle period where, after some smart acquisitions at the end of August, they steadied and kicked on, looking for a brief stint like a play-off challenge was within their grasp. Highlights of the Sky Bet Championship match between QPR and Rotherham. 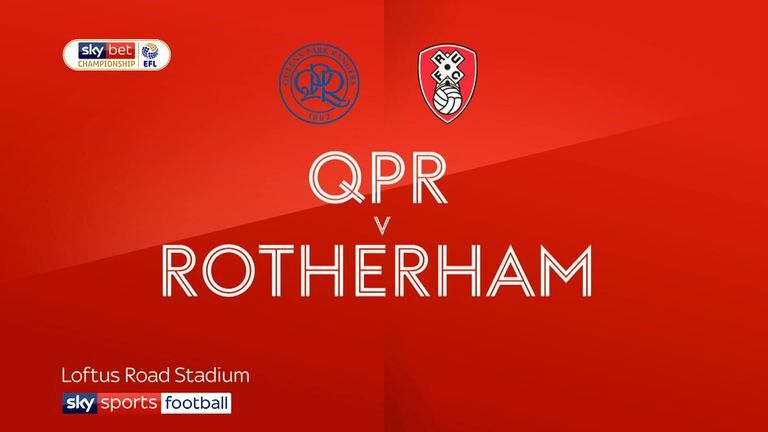 Then came 2019, and a run of just one win, two draws and nine defeats in 12 games, culminating in their drab performance on Wednesday night where they handed Rotherham a first away victory of the season. All in all it has left QPR three points worse off than they were at this stage under Ian Holloway in 2017/18, which does beg the question of whether or not any real progress has been made under McClaren. There are still seven points between themselves and the relegation zone, but if they keep losing then that gap will close very quickly. An improved performance at Hull on Saturday is essential. There are probably more teams in League One that are still in the relegation battle than are out of it. Oxford currently occupy the top spot in the relegation zone heading into the weekend, but back-to-back wins could, in theory, lift them higher in the table than Plymouth - who start the weekend in 12th. The three teams currently slightly adrift are Rochdale (two points behind Oxford), who have picked four points from a possible six since sacking manager Keith Hill and Bradford and AFC Wimbledon, each on 36 points and four adrift of safety, but both have renewed optimism that they can stay up. Under new boss Gary Bowyer Bradford won their first game at the weekend against Peterborough and then were unlucky to run into Luton in midweek to halt any potential momentum. They now have a six-pointer at Oxford on Saturday. AFC Wimbledon, meanwhile, appeared dead and buried at one stage but 13 points from a possible 18 have given them renewed optimism. It is all set up for a fascinating battle between now and May. Thirty-one days was the eventual length of Paul Scholes' reign at Oldham, which started with a victory but ended with just one win from seven games. "In the short period since I took on the role it unfortunately became clear that I would not be able to operate as I intended and was led to believe prior to taking on the role," said Scholes in the statement announcing his departure. Chris Kirkland admitted to being surprised by the haste of his departure from Boundary Park, as he appeared on EFL Matters on Thursday. "Paul obviously had issues with what was going on there and what he was told was meant to be happening is probably not happening," he said. "But it's a big shock and a big let down for Oldham, because they had someone who was a big supporter of the club and he's left so quickly. It's disappointing. "We've seen it before where a manager has been promised certain budgets and that hasn't happened and they've walked away. Only Paul himself knows why he's made the decision, but now Oldham need to move on quickly because there's another game around the corner." In-form Tranmere are the visitors to Boundary Park on Saturday, as Oldham search for a third permanent manager since the start of the season. Chris Kirkland joins David Prutton in this week's EFL Matters. The alarming rate at which clubs are parting company with managers these days makes Jim Bentley's tenure at Morecambe - and one that makes him the longest-serving boss in the country - look more impressive by the day. It is an impressive job he is doing as well, at a club that have no real right to be considered regulars in the Football League. Last season Morecambe stayed up on the final day of the season, but it looks like things may be a little bit more comfortable this time around. 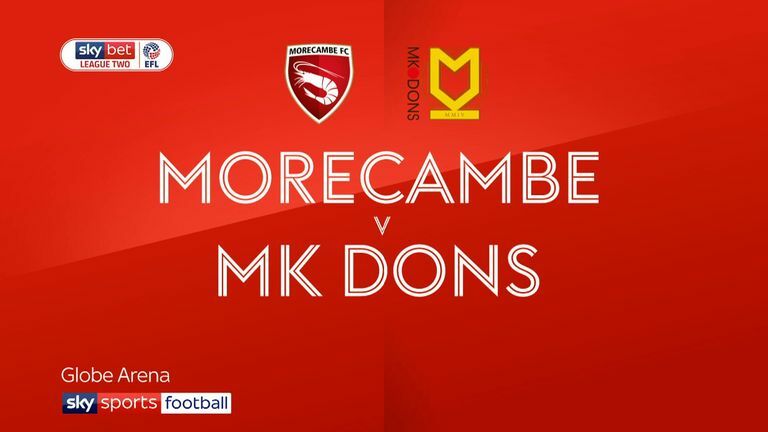 Highlights of the Sky Bet League Two clash between Morecambe and MK Dons. Just one win in 13 games between late November and early February left the club in a precarious position in League Two, but they have rallied brilliantly to win four of their last six - including a thumping win over promotion candidates MK Dons in midweek - to really steady the ship. "We're not blessed at Morecambe to be one of the big boys of the division and we have always punched above our weight," said Bentley in an interview with Sky Bet earlier this season. "Every day is challenging but we are here on merit and we have done enough every year to stay up." What Morecambe always do well is pick up points against the sides around them. Victory against Notts County on Saturday and surely another season in League Two awaits. Bentley is doing a fine job.